When you think about it, parenting involves answering many questions and solving many issues. This is more difficult when it is your first time. You would wonder what baby swing to use, what pediatrician to visit, when to start a college fund, what to provide for breakfast and how to take care of his or her oral health. Fortunately, a pediatric dentist can help with the last concern. The American Academy of Pediatric Dentistry and American Dental Association suggest that parents should take their kids for their first dental visit immediately after their first birthday. That dental visit may seem premature, but it is the best way to ensure your child experiences no issue with teeth growth. With the increased cases of cavities among children, parents are expected to take this visit serious once their child's first tooth erupts. A regular visit is necessary to maintain your child's oral health and set them on the path of excellent oral habits throughout their lifetime. Although the child's teeth are temporary, they still require dental care to ensure their teeth stay healthy, strong and well-formed. You can take your child to visit your preferred dentist, but it is usually better to carefully find one with expertise in handling children. Since they specialize in caring for children's dental needs from infants to teenagers, pediatric dentists are better placed to manage certain issues concerning children's oral health. This includes treating problems that may occur with the baby's teeth and handling the areas of emotions and developments that may affect the child's visits to the dentist. It is normal for people of all ages to be scared about a dental visit, especially first-timers. Pediatric dentists are trained to care for kids and provide them a positive experience. A pleasant first-time impression will help the child realize the essence of excellent oral health and make them more willing to adopt oral hygiene habits throughout their lives. Pediatric dentists work with children daily and are familiar with the regular worries of children during dental appointments. This enables them to provide a personalized approach depending on the patient's concerns. Their experience and training with handling kids ensure kids are comfortable when sitting in the dentist's chair. Children have many bad habits, especially thumb sucking and teeth grinding. It can be difficult to stop those habits and they may end up harming their teeth. A pediatric dentist can help teach your child the importance of stopping these bad habits to have healthy teeth, as well as how to stop these habits. 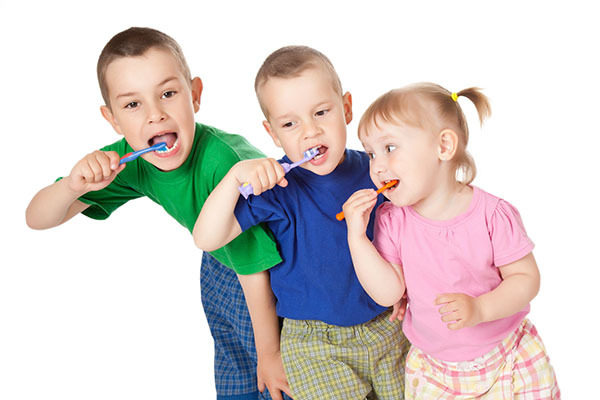 Pediatric dentists pay attention to the child's age and development then use that information to determine when and how to teach them healthy oral habits. For instance, the first few appointments will be directed more to teach the child how to care for their teeth and gums. This will change as they grow older – from ensuring proper development of adult teeth to practicing optimal dental hygiene throughout their lifetime. Request an appointment here: https://www.memorialpediatricdds.com or call Memorial Pediatric Dentistry at (281) 858-2135 for an appointment in our Houston office. Check out what others are saying about our dental services on Yelp: Pediatric Dentist.